The Frassati Gala and a chance for a Pilgrimage to ??? Please note that there is an extra cost to the winner if the departure city of the pilgrimage is different than St. Paul/Minneapolis. The pilgrimage needs to be booked within one year of purchase. 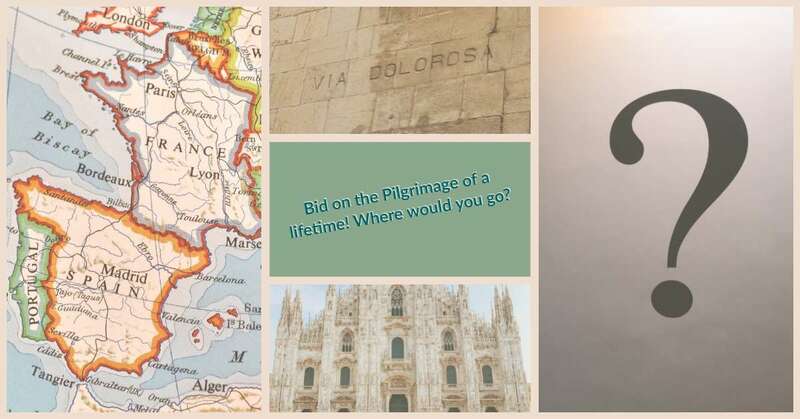 The best way to ensure that you are the winning bidder is to attend the Gala at Frassati on April 26, 2019 and be the last one to bid!! Please visit frassati-wbl.org for more details and to register for the Gala. Connect with the latest and greatest at the parish by checking us out on Social Media, Website and Blog!